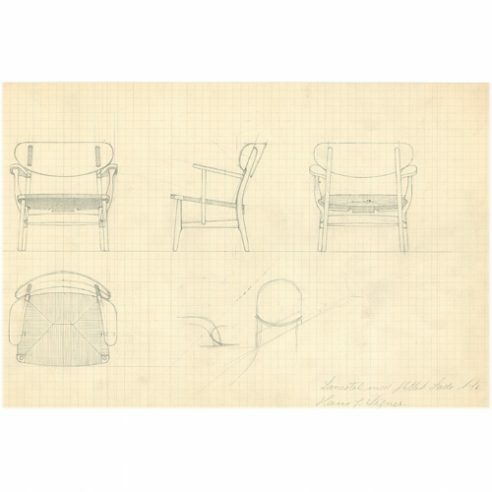 Two or three such themes can be seen in lounge chair CH22, one of the first models Wegner designed specifically for Carl Hansen and Son during this period. of the seat frame and wedges to hold the front legs into place. The rustic looking armrests are held by axe shaped supports that thicken where strength is required where they connect to the chairs frame.